Details Printed in England by W E Berry of Bradford this iconic image sums up the Stanley Kubrick directed "2001: a Space Odyssey". 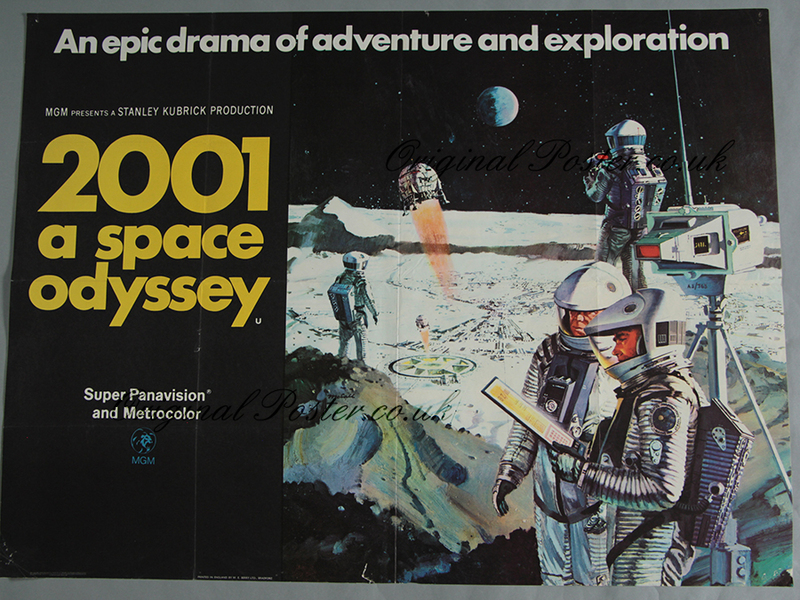 The highly detailed artwork tells the story of our journey of exploration in outer space. Fantastic use of colour and perspective. This Style B British Quad has pinholes in the corner and a one inch closed tear at the bottom centre border which we have repaired with restoration tape.